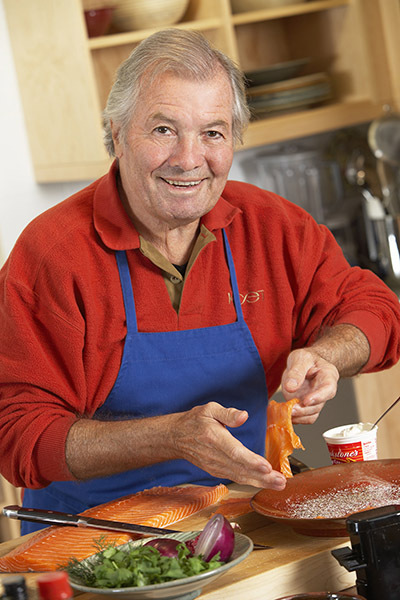 Jacques Pépin, on Sunday, July 29, 2018, in Jeff’s Kitchen at Hayground School, Bridgehampton. Five-star chefs will cook for guests as they celebrate Chef Pépin. The benefit dinner will raise much- needed financial aid for Hayground School, an inclusive, diverse school which incorporates an Edible Garden/Kitchen Science program into its curriculum on its pastoral Bridgehampton grounds.